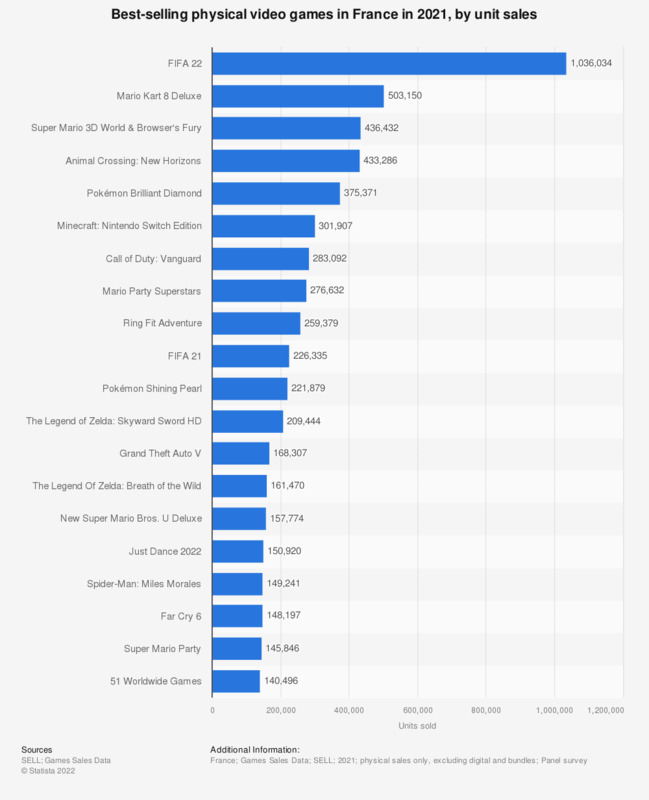 This statistic displays the ten highest selling PC and console video games in France in 2017, by platform. FIFA 18 for the PS4 was at the top of the chart with about 971.9 thousand units sold, whereas Call of Duty: WWII for the PS4 took the second place with 824.4 thousand units sold. Scope: console software and PC games.